If you have experience with a Bay Alarm System you’d like to share, or want to find out how Bay Alarm customers feel- check out our section for customer’s Bay Alarm Reviews. Bay Alarm has been in the home security business since the mid-forties in California. There are few negative online Bay Alarm Security Reviews to be found. However, it is curious that they have not expanded far beyond the west coast in 60 years. If you live outside their rather limited region or are considering relocating, you would be better served to look elsewhere. 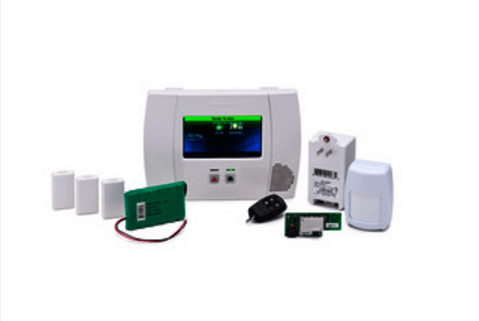 Our Bay Alarm Review summary and detailed reviews are followed by the customer Bay Alarm Reviews and a FAQ section in which we compare Bay Alarm with some of our top rated alarm companies. If you currently have a Bay Alarm Home Security system, we hope you will share your experience with our readers below. Current Bay Alarm Customer? Leave Your Review! Potential Bay Alarm buyer or active Bay Alarm System owner? Thinking about safeguarding your family members by getting a Bay Alarm home security system? Or maybe you are already a Bay Alarm Company patron and are looking to post or find Bay Alarm Reviews…or possibly seeking more info regarding Bay Alarm Medical services. The Home Security Advisor was created to serve as an in depth resource for those savvy consumers looking to make well-informed decisions about home security- and get tips and guidelines on how to safeguard your home and family members. To help you to find out more on the Bay Alarm Company, along with some of the other best selling security companies, take a look at handy table of contents, with “quick jump” links that will help you navigate right to the segments which are most important for you. A reputable, premium priced, California-based security company. See how Bay Alarm compares with the competition! Bay Alarm is a multigenerational, family owned, California based security company that was founded in 1946. They offer a complete range of products and services including home security and automation, video surveillance, commercial security, access control, commercial fire and both home and commercial guard patrol and response. Despite only servicing the California market, they protect more than 120,000 homes and businesses across the state, ranks #13 in the SDM Top 100 and has an A+ BBB rating. However, they do not currently provide service outside the state, so, if you do not live in California, you should check out our Top Alarm Companies. Bay Alarm operates their own UL Listed, CSAA Five Diamond Certified monitoring center. This level of accreditation meets the highest industry standards and is awarded to less than 5% of central monitoring stations across the country. Monitoring starts at a fairly competitive rate of $30 a month for basic monitoring with a required 3 year monitoring agreement. The Bay Alarm website lacks transparency when it comes to monitoring options and feature availability. However, they do offer a la carte monitoring options to meet individual customer requirements. Home Automation and Security Camera observation and offsite storage are also available…for additional fees, depending on consumer needs. Their home automation and system interactivity is provided by Total Connect 2.0 – an award winning mobile application that allows for remote control of the home security system, lights, appliances, locks, thermostats and allows for e-mail alerts and remote video observation as well. Bay Alarms also cater to the needs of the elderly and those with special medical concerns with an autonomous medical alert system, Bay Alarm Medical. These services are entirely separate from their home security systems. Quoted prices are for emergency medical and fire monitoring only and based on 6 month billing cycles. Quarterly and monthly payment options are available as well- at higher rates, of course. They are a Honeywell Authorized Dealer and offers a full range of Honeywell products and services. From the hardwired Vista 20 to the top of the line Tuxedo Touch, Bay Alarm will customize a system to meet customer needs and specifications. They don’t publish package prices-opting for the more traditional security approach of offering a completely customized security solution in which a trained security consultant will meet with the customer and provide a “quote” based on individual needs and circumstances. While this might sound good in theory, it makes it very difficult for the prospective client to compare price and services. A very basic system will start at around $300 and go up from there. One should be prepared to spend at least an hour with a salesperson that has been coached to maximize “upsells” and “close” the sale on the spot. Their A+ BBB rating is indicative that they take the necessary steps to resolve serious customer complaints and issues that are filed with the BBB. In the past 3 years there have been just 15 complaints filed with the BBB-all of which have been closed. With over 100K customers, this is a very small percentage. The majority of complaints on forums and online review sites pertain mostly to billing issues, alleged misinformation and difficulties in cancelling service. 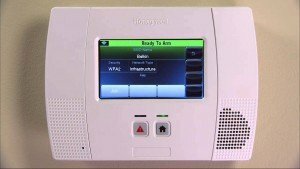 Bay Alarm is a traditional, local home security company that offers a wide array of products and services, and premium quality Honeywell home security systems. It is evident from the A+ BBB rating and the relatively scarcity of negative online reviews and feedback that they provide a quality service, albeit at a relatively premium price, and take good overall care of their customer base. They are a reasonably good choice for one who resides in California who is looking for a locally owned company that provides customized, professional installed home security…and is willing to pay a premium price. It is evident from their website that the company embraces the core values on which the company was founded. This has resulted in the steady, long term growth of the company…and the overall satisfaction of a substantial customer base. 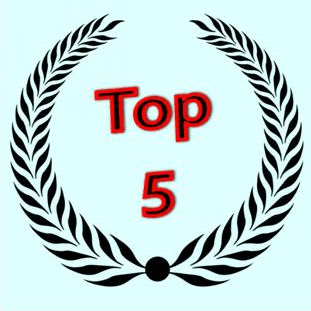 However, up front costs will likely be substantially higher than our top ranked home security systems. To find out what the actual installation costs and ongoing monitoring costs will be, you must be comfortable with the traditional in-home sales and installation processes. 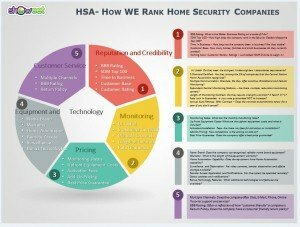 If you reside outside the service area and/or are looking for the best values in home security, I would suggest you investigate our Top Alarm Companies, before making a decision. Can Bay Alarm Compare to our Top Alarm Companies? If you have experience with a Bay Alarm Home Security System, please leave a review below to share with our readers. OFF — Even when your Bay Alarm Security system is switched off, the chime mode on window and door sensors remain active. Your Bay Alarm home security system will still chime if one of the windows or doors covered with a sensor is opened. The Bay Alarm company ensures that life and environmental safety systems (i.e. water or low temperature) are also available 24/7. This is one of the reasons for so many positive Bay Alarm reviews and Bay Alarm Medical reviews. Consequently, if there is a fire or medical emergency your Bay Alarm Connect will notify you and the central monitoring station. Stay– You can arm just the perimeter protection in the “stay” mode. Away– The away mode on your Bay Alarm system will activate your motion detectors as well as the windows and doors. 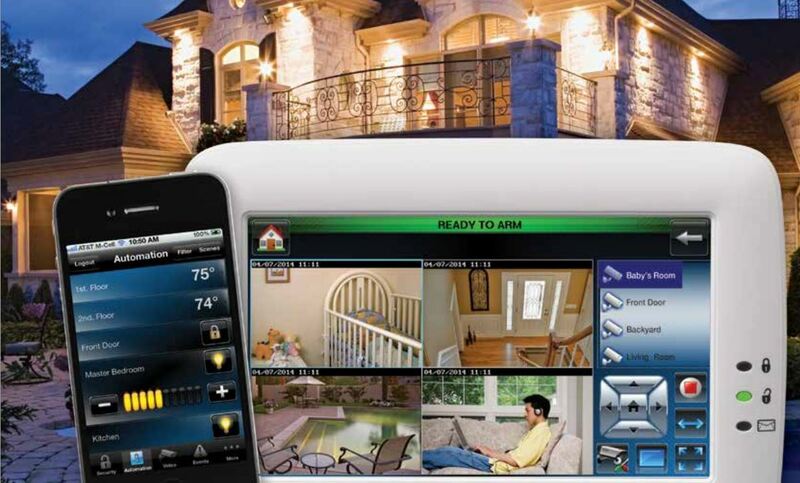 Instant — You can eliminate the entry delay on your security system by arming it in instant mode. Duress – You can establish a special duress code which will notify the Bay Alarm Company monitoring center that there’s a potential hostage situation. If you are already a Bay Alarm Company customer, there is a place for your testimonials in our section for Bay Alarm reviews. Your Bay Alarm medical reviews of the company and the Bay Alarm Connect app will be a huge asset to those who are comparing Bay Alarm vs ADT. 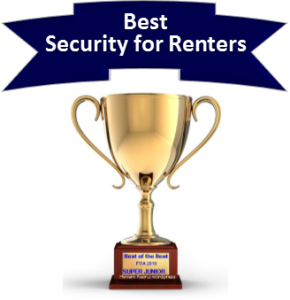 How does Bay Alarm Security compare to the competition? If you live in California, and are looking for a professionally installed alternative to an ADT, Monitronics or a Vivint Home Security and Automtion System, Bay Alarm is a strong contender. However, you will be paying a premium price compared to some of your other alternatives. 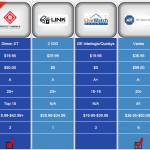 You can see where they stand on our Top 5 Rated Alarm Companies -or in the side by side comparison summaries, below. Thank you for visiting! Please feel free to share our Bay Alarm Reviews , below or follow us, above. If you or someone you know has experience with a Bay Alarm Security System, we hope you will share that experience in our Customer Reviews.